Smart practical tips and advice after weight loss surgery. 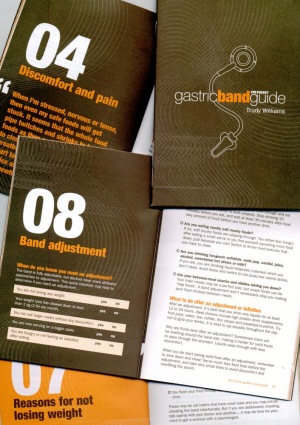 The Pocket Gastric Band Guide blends tips and practical smart advice with quotes from fellow 'bandsters'. 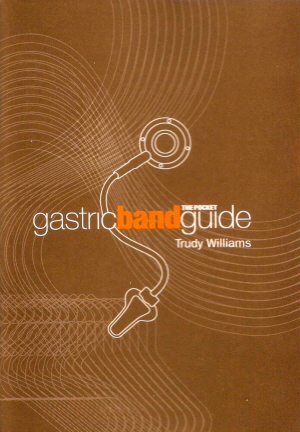 It covers the gastric band only. The gastric band is also called adjustable gastric band, gastric band and lap band. The Pocket Gastric Band Guide is clear because it does not discuss other types of weight loss and metabolic surgeries. Sent with a copy of the Protein Poster with my compliments. Still not sure if this book is for you? Read more here. The content in all its forms on and from this site does not replace and should not be used in place of expert personalised advice from your own medical and health practitioners, Accredited Practising or Registered Dietitian, exercise physiologist, and clinical psychologist. The content is of a general nature and for educational purposes only. All original material and content on this site is copyright (1993-2018) to the author Trudy Williams @ foodtalk. Images are either sourced and purchased from online photograph and image providers including istock, getty, or generated by the author's collaborators.